There was a time, when people were in a dilemma whether to choose an individual house or an apartment. Later people started opting for homes, based on their budget and other favorable aspects. In the recent years, people started showing interest in gated community lifestyle which is suitable for all pockets. When considering villas, apartments or expandable villas all has positive and negative sides. Which ratio is high? 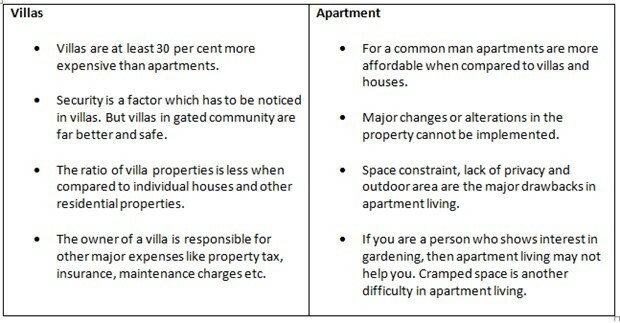 This is the fact we have to look out when we invest in a property. Besides lifestyle and budget constraints, there are also several other areas which an individual has to consider. 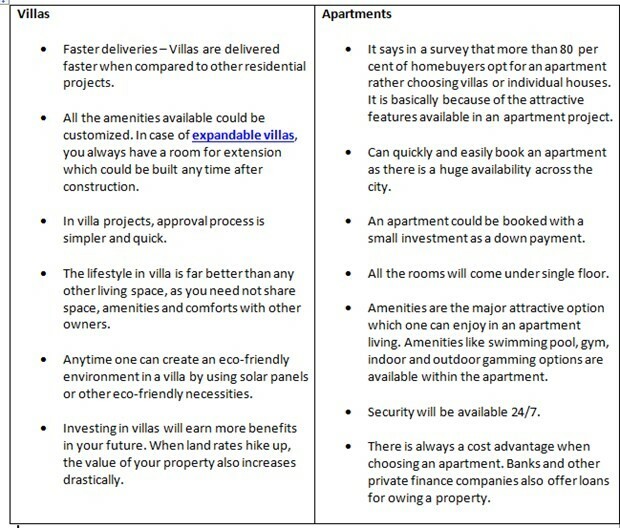 Let’s check the deciding factors which will help you to choose between a villa and an individual house. Investing in a property is the most crucial decision which one could take in his life. When choosing a space for your lifetime, it is definitely worth analyzing various aspects of the property. So be precise in what you want and what you can afford. Own a living space and be a proud owner. This entry was posted in News and tagged Construction Quality Check Hyderabad, Property Management Hyderabad, Property verification Services Hyderabad on October 15, 2016 by Venkat Chunduru.